Good to see you didn't fall off the edge of the planet. Thought you went into a black hole or something. I would probably swap out the painboy and some buggies for a second warboss. They are so good, and so cheap. Both good points... You know how I do like bikers... 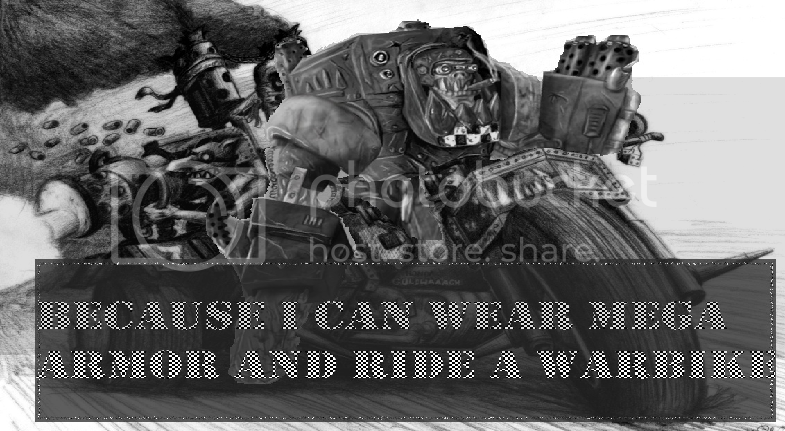 I just like biker nobz and they are pricey!